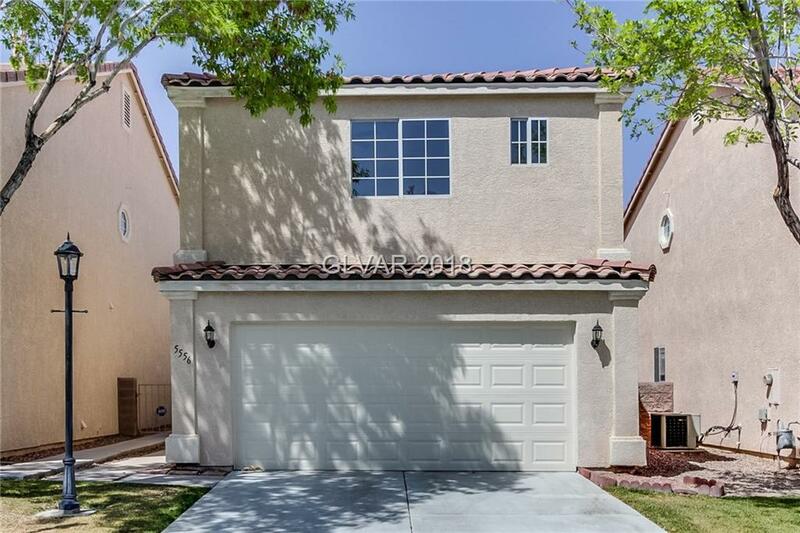 Nestled in a gated community, this home offers plenty of natural light to showcase the living room fireplace and the light and airy kitchen with Corian countertops and white appliances. Upstairs you find a den and two bedrooms, including the master suite with its walk-in closet, dual sinks, and step-in shower. HOA amenities include three pools, trails, and picnic areas. Home comes with a 30-day satisfaction guarantee. Terms and conditions apply.